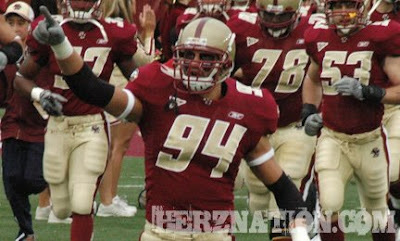 Check out Heather Dinich’s |espn.com| interview with Mark Herzlich wrapping up the Boston College Eagle’s spring season. She asks the tough questions covering everything from Spaziani’s selection process to Herzlich’s decision to return for his senior season. Herzlich is articulate, humble, and astute. Great interview practice for the next level.